Issues with your corneas are best trusted to eye doctors with the most extensive experience. 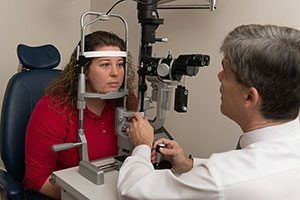 We are proud to provide the most expansive array of corneal services in the Northern Colorado area. We invite you to visit our Boulder, Lafayette, Greeley or Longmont offices to access these services and more state-of-the-art eye care. Not only do we provide traditional solutions for existing or chronic corneal problems, but we provide innovative cornea care and treatments in attempts to provide less-invasive solutions that increase safety, or end-stage solutions when traditional treatments have failed. Patients with significant recurrent or chronic ocular surface problems can represent a diagnostic challenge. We welcome such challenges and are willing to run full evaluations and tests to get to the bottom of these cases and their systemic causes. Recently diagnosed cases include: Read more.. Given the intimate relationship of the ocular surface with the lids and orbit, we will also address the necessary adjunctive surgical procedures needed for best patient care. These include applications of amniotic membrane, limbal stem cell transplants, corneal gluing or conjunctival flaps for the ocular surface. Read more.. When human corneal transplantation has failed more than once, or if injury to the eye is severe enough, an artificial cornea may be the best hope for vision. Dr. Andrews has experience implanting both the Boston Corneal Prosthesis (K-Pro) and the AlphaCor artificial corneas. Read more..